Producing detailed photos even in low-light conditions, the 40MP + 20MP + 8M + TOF quad camera system on the Huawei P30 Pro is packed full of features. This flagship phone also features a huge 6.47-inch OLED display to bring your favourite movies and games to life. 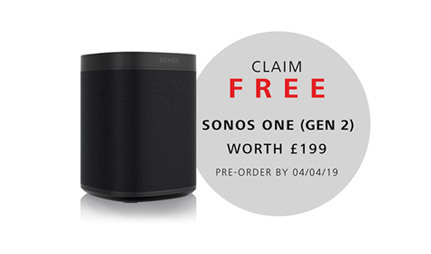 Claim your free Sonos One – RRP £199 – when you pre-order the Huawei P30 or P30 Pro before 4th April 2019. Discover Alexa functionality on this amazing smart speaker, which lets you ask questions, look up info, and request music when your hands are full, all with a simple voice command. The Sonos One (Gen 2) is ready to fill your room with the detailed and textured sound that Sonos is famous for. It’s easy to skip, reply, and adjust volume with a simple request, while voice activation also means the whole family can get involved when it comes to requesting tunes. 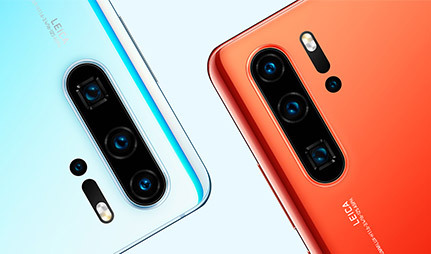 The Huawei P30 arrives in a range of ambient colours, which show off a unique and eye-catching colour gradient design. This premium handset is crafted from curved glass, for a result that both looks striking and is a pleasure to hold. The Huawei P30 Pro’s sizable OLED display measures 6.47 inches, making it ideal for watching blockbuster movies on the go, or playing graphics intensive games. It’s also perfect for viewing impressive photos, taken with the handset’s next generation camera. 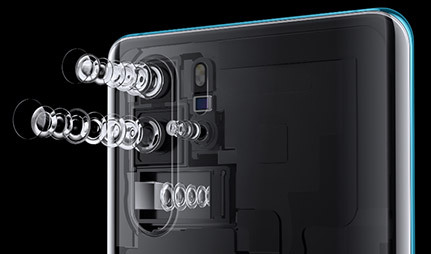 The Huawei P30 Pro camera lets you take professional-looking shots, thanks to its four lens set-up. Engineered with camera experts Leica, this quad camera system features a 40MP + 20MP + 8M + TOF system to provide incredible results, even after dark. Allow more light into every shot with a light fusion sensor, which produces impressive images even in extreme low-light situations. You can even take better photos at a distance, as this camera system is also equipped with a 5x telephoto zoom. Behind the scenes on the Huawei P30 Pro is a massive 4200mAh battery, which uses AI management to distribute power efficiently, and keep the handset going for longer. Other battery features include Wireless Quick Charge for when you need to charge up in a hurry, and Wireless Reverse Charge which allows you to share battery power with other wireless-charging devices by touching them together. 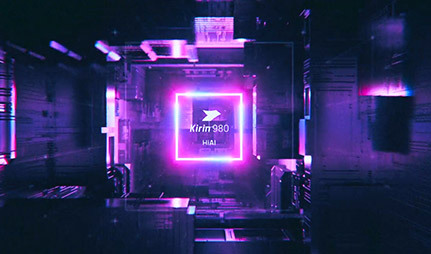 Also on board is the Kirin 980 to ensure your multi-tasking runs smoothly. As one of the most powerful AI chipsets available, it ensures a responsive and lag-free user experience.